When it comes to aircraft insurance, people often only think of planes. However, aircraft or aviation insurance covers a wide range of aircrafts. In fact, the U.S. has the largest and most varied general aviation community in the world. It consists of over 220,000 aircraft, including rotorcraft, balloons, amateur-built aircraft, and highly sophisticated turbojets. But one of the most common types of aviation insurance is actually drone insurance. While people may think drone insurance is unnecessary, it can be quite beneficial. In order to help you further understand its importance, this article is going to answer some commonly asked questions about drone insurance. Do I need to buy drone insurance? For recreational drones, insurance is not mandatory. However, with high-end features like cameras, video recording equipment, and GPS, it may be in your best interest to insure your drone. Drone insurance can cover property damage that your residential insurance policy may not. If you have an expensive drone, you should highly consider getting UAV insurance. Where can I find information about drone regulations? 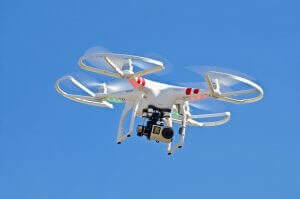 The Federal Aviation Administration (FAA) is in charge of monitoring drone use and regulations. You should be aware of regulations and guidelines regarding drone registration, use, and insurance. Should I insure my drone for liability? It is highly recommended that you protect yourself with liability insurance. Unfortunately, even the most experienced flyers can have a drone mishap. Whether you accidentally crash into someone else’s property or even injure another individual, it’s important to have liability insurance to cover these instances. Are drone accidents common? Even though drones haven’t been popular for very long, there have already been many drone-related accidents. It’s important to know that not all accidents are caused by reckless behavior. Some accidents may stem from a loss of power, weather influences, or foreign objects. But no matter the cause, accidents do happen and you should make sure you’re protected. How do I get drone insurance? Fortunately, aircraft insurance companies offer reasonable drone insurance. It’s important to invest in an insurance policy that will cover a wide variety of possible instances. With that in mind, finding an insurance broker you can trust and rely on is key to protecting yourself and your drone. As you can see, there are multiple reasons why drone insurance is highly recommended. Even if you only use your drone for recreational uses, accidents do happen and it’s important to make sure you’re covered.